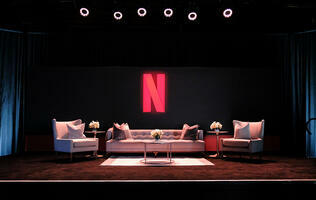 Sony Playstation 4 - Does Greatness Await? 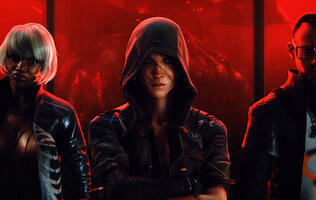 At E3, six months ago, it looked like Sony already had this console war won and done with. Thanks to Microsoft's baffling decision to commit seppuku with the Xbox One by announcing a high launch price, restrictive always online DRM policies, a block on lending and trading in used games, and a focus on social content and media streaming that gamers just weren't very interested in, Sony's more powerful, more affordable, game-focused Playstation 4 seemed like the natural console choice. The Xbox One has recovered somewhat, with Microsoft reversing most of its controversial decisions, but Microsoft's original intent has left a bad taste in the mouth of many gamers (one of our own writers is adamant about switching to Playstation for this console generation), and it doesn't help that, in Singapore at least, the Playstation 4 goes on sale tomorrow, while the latest update we've received from Microsoft regarding the Xbox One's release is "sometime later next year". 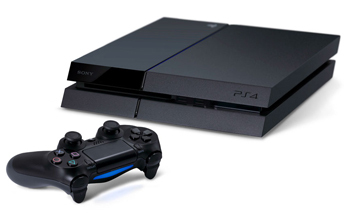 While the Playstation 3 was a rotund beast, complete with a belly that absolutely refused to slide into the slim media console under your TV, the Playstation 4 is slim, svelte and low-profile. It looks like Sony skipped its usual product cycle of bulky first generation console, followed by a Slim version a few years later, and thankfully went straight for the Slim model this time round. The squarish, angled design has a vaguely retro aesthetic, almost like a NES updated for 2013, and looks quite attractive in both flat and standing positions. Mostly matte black in color, a panel of glossy black plastic adds a touch of class and doubles up as the removable hard drive cover. 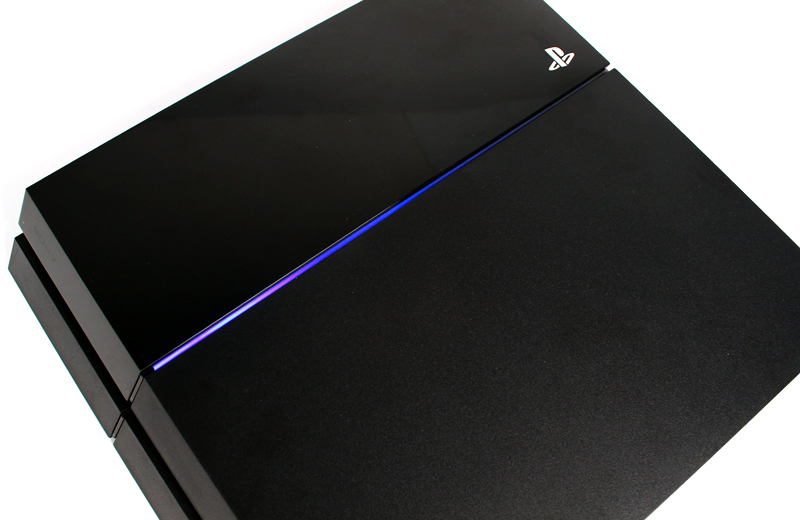 In the divide between the glossy and matte areas, a strip of light acts as a notification light: turn the PS4 on and it will glow blue, before changing to a steady white while the console is running. The strip turns amber when the PS4 is in Standby mode (a low-power sleep mode which stays connected to the Internet and can charge controllers that are plugged in) and pulses white during the shutdown process. 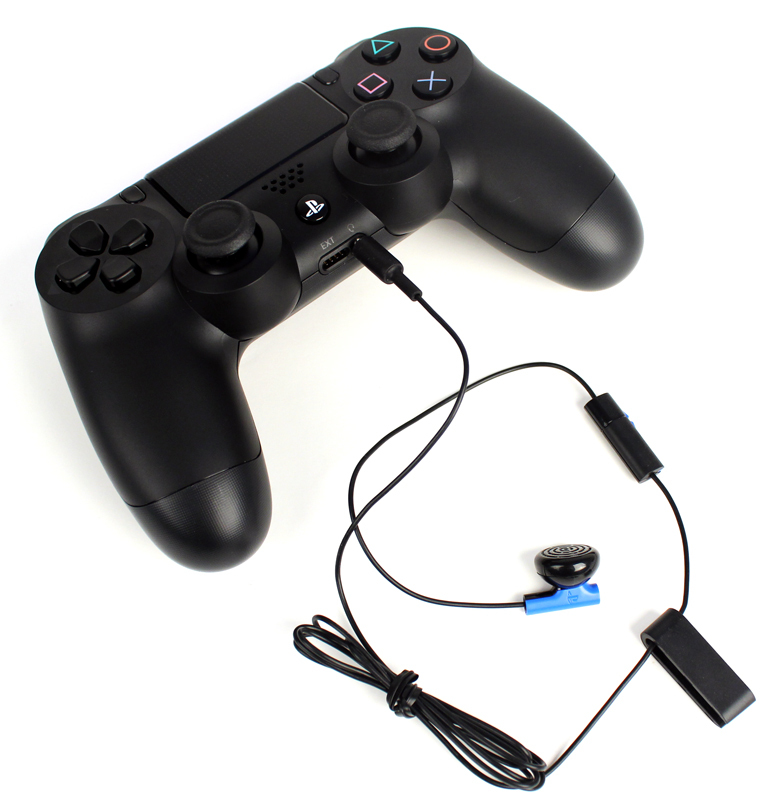 Included in the box with the PS4 is one Dualshock 4 controller, a PS4 headset (consisting of one earphone and one microphone), a 2m micro-USB cable, which, unlike the PS3's abysmally short included cable, is thankfully long enough to play games with while charging the controller, an HDMI cable, and a power cable. Like the PS3 (and unlike the Xbox One), there's no power brick required for the PS4, which keeps everything neat and tidy. 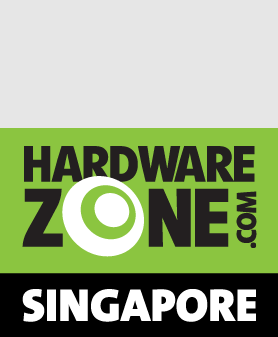 Do note that the PS Camera peripheral is not included in the box, and is sold separately for S$87.90. 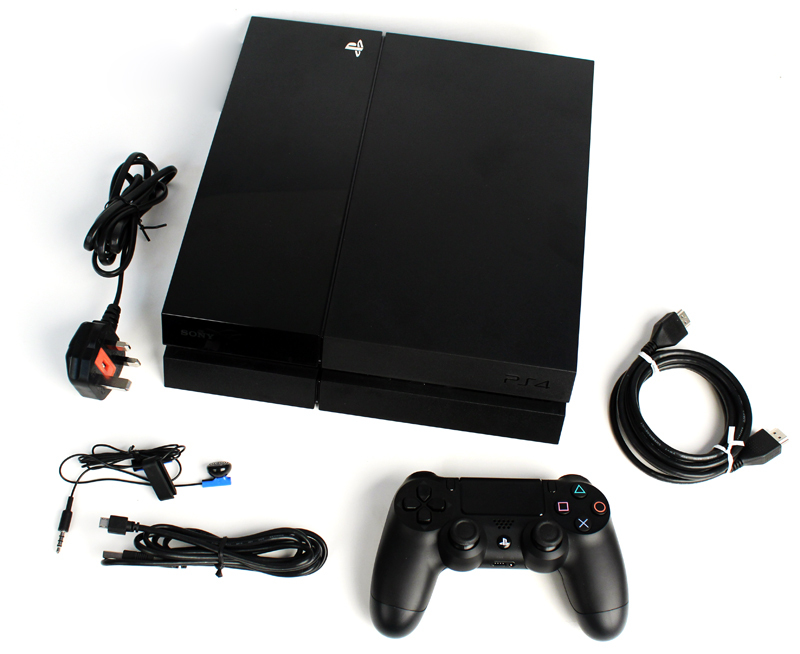 The entire console weighs about 2.4kg, making it about half the weight of an original PS3, and actually slightly lighter than the roughly 3kg PS3 Slim. On the front panel, an almost invisible slot load Blu-ray drive, as well as two USB 3.0 ports are hidden in the recess between the upper and lower sections. The power button and disc eject button can also be found here. On the back of the machine, Sony has gone strictly digital, with just the single HDMI port as your sole video output option. Video output formats include 480p, 720p, 1080i, 1080p, and yes, 4K as well - which shouldn't be a surprise considering Sony's big push for its own 4K TVs. On the rear of the machine, you'll also find an Optical Audio port for connecting to a speaker setup, a proprietary port for connecting Sony's PS Camera peripheral, an RJ-45 Ethernet port for connecting to the internet, the power port, and an array of cooling vents. Rather frustratingly, especially for a next-gen console that is expected to last at least the next five years, the PS4 doesn't support the Wireless 802.11ac standard, instead utilizing the older 802.11b/g/n network, and even then 5GHz bands are not supported! So you're stuck with 2.4 GHz speeds. This makes a wired connection almost mandatory, as downloading games or even large update files over wireless can be extremely sluggish. 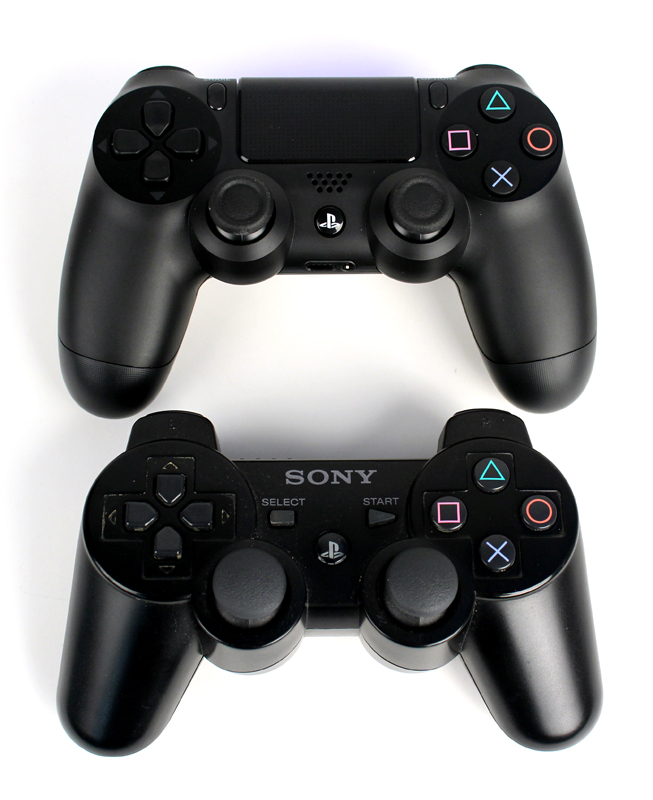 As with the Dualshock 2 and 3, Sony has, for the most part, stuck to the same design as its original Dualshock controller, adding only a few subtle tweaks and improvements to the new Dualshock 4. 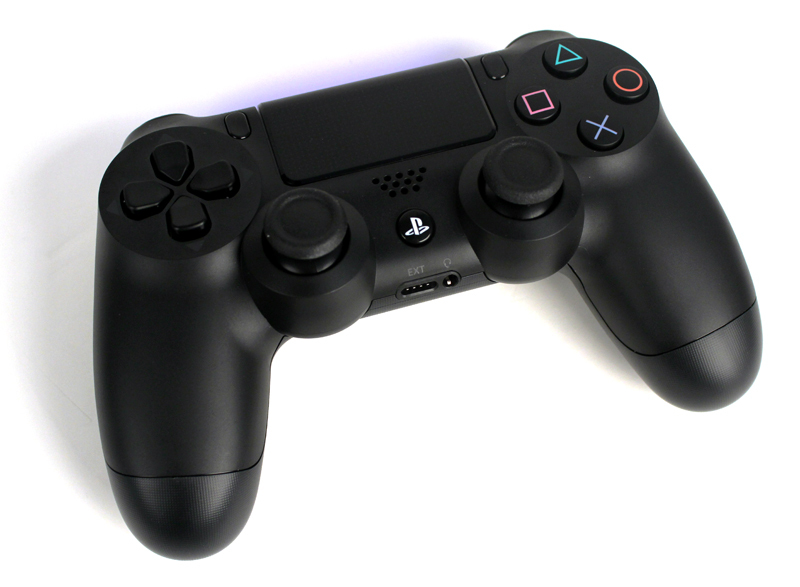 Gamers who grumbled about the small size of the original controller will be pleased to know that the Dualshock 4 has increased in both size and weight, and now feels more solid in hand, with its larger, more substantial handles. The analog thumb sticks are also positioned slightly further apart, and sport ergonomic concaves in the middle of the sticks that you can rest your thumbs in. Best of all, Sony seems to have taken a cue from the Xbox controller, and reshaped the L2 and R2 buttons with much larger, concave trigger shapes, with far greater travel distance, resulting in a more satisfying FPS experience. 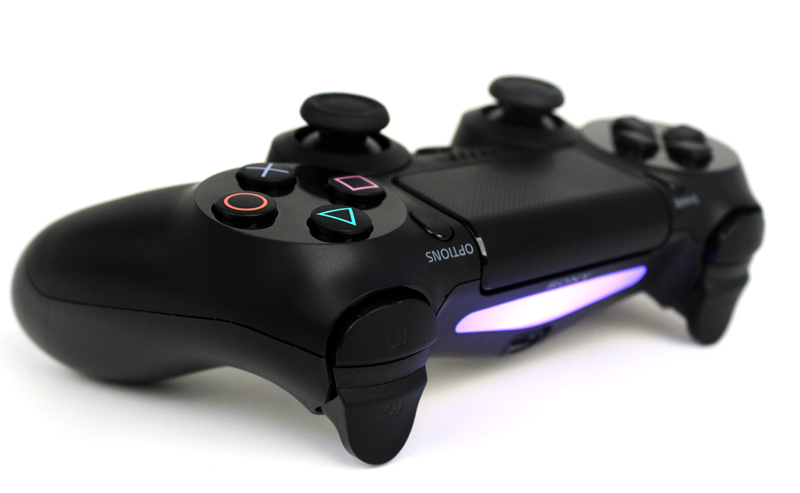 The Dualshock 4 also adopts the multi-colored lighting of the PS3's PS Move peripheral, with the front of player one's controller glowing blue, and each subsequent connected player lighting up a different color. Like the lighting on the console itself, the Dualshock 4's lighting also serves as a notification light, turning amber while it is charging. A minor but interesting change on the Dualshock 4 is that it uses a micro-USB cable, rather than the mini-USB used on the Dualshock 3. This should be good news for most Android smartphone owners, as it is likely to be the same cable you use to charge your phone with - handy if you ever misplace the cable that came with your PS4. The 'Start' and 'Select' buttons have been replaced with 'Options' and 'Share' respectively, the first of which behaves much as 'Start' used to, while the latter enables easy uploading of game footage from the PS4 to your preferred social network. The buttons have also been redesigned, pushed to the side to make way for the new central touchpad, and have lost their familiar triangle and rectangle shapes, replaced instead with smaller oblong designs. They're also more flush with the controller surface, which can actually make pausing mid-game a bit tricky - honestly, we found it easier to just hit the PS button to pause the game. 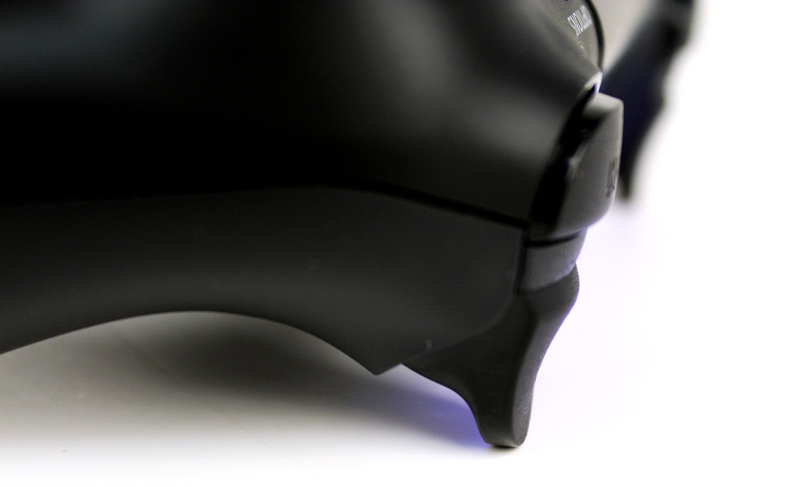 A nice new feature on the Dualshock 4 is the built-in speaker and 3.5mm audio jack. The speaker adds a little bit of extra immersion for games like Killzone Shadow Fall, where picking up an audio log will play it right from the controller, while the 3.5mm audio jack will be a welcome addition for anyone who likes to play games at full volume without disturbing others - just plug your preferred headphones right into the controller, go to the PS4's audio menu, and set 'all audio' to output through the controller. 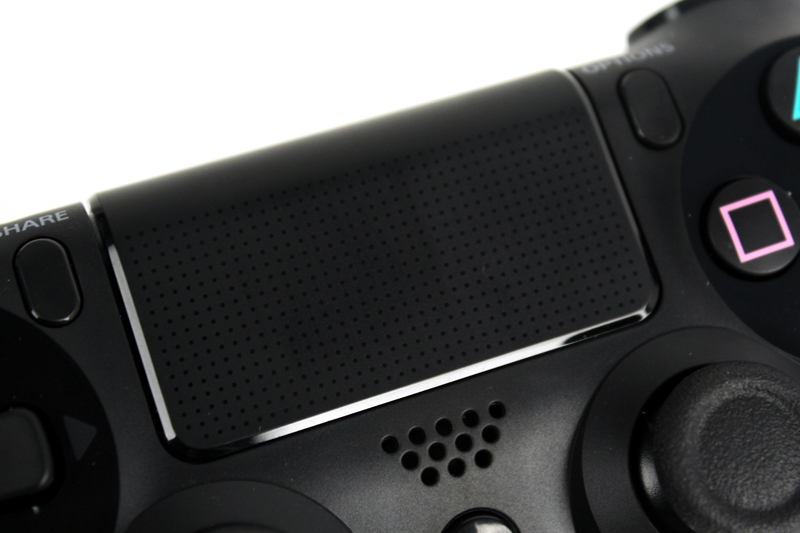 The biggest change to the Dualshock 4 is the large clickable touchpad found in the middle of the controller. Right now, it's not the most useful addition, as it's clear that game developers haven't really figured out what to do with it yet. For example, in Killzone Shadow Fall it can be used to select different options for your OWL drone, but this could just as easily have been accomplished with the D-Pad as up, down, left, and right are your only commands. In Assassin's Creed 4: Black Flag, it can be used as a trackpad to navigate the map menu, but it's a bit clumsy and slow to respond, and we found it easier to just use the thumbstick to move around the map. After just a few hours with the Dualshock 4, we can appreciate Sony's continuing efforts to improve an already great controller, and almost all of the Dualshock 4's subtle improvements are much welcomed. The jury is still out on the usefulness of the touchpad, but maybe some game developer will think of a killer way to incorporate it into their game.Our only point of concern is that battery life on the Dualshock 4 seems a bit lacking. From a full charge, the controller lasted only about nine hours before it needed to be recharged, which is significantly shorter than the 30 or so hours the Dualshock 3 was capable of. On the plus side, it's much easier to keep your controller charged up now, as you can finally charge it in the default Standby mode, and the included micro-USB cable is also long enough that you don't have to sit right next to the console to play while it's connected. The PS4 gets a new operating system, rather boringly named the Playstation Dynamic Menu (it's certainly got nothing on the old XMediaBar). The new OS prominently features a row of square icons, horizontally listing: What's New, TV & Video, Live from PlayStation, Internet Browser, Video Unlimited, Music Unlimited, and Library, which shows any games you've installed, in order of how recently you played them. 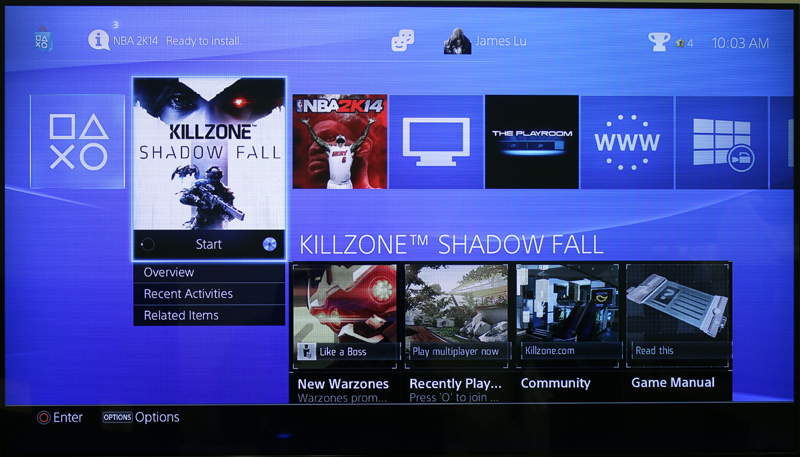 Selecting an icon shows additional information below it, for example What's New lists news and updates from PSN. 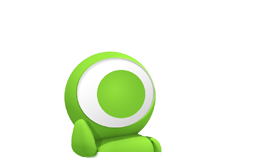 Compared to the XMediaBar, the new UI is certainly simpler to navigate, but we do worry that, with no way to organize or sort your list of games, and with every game that gets installed appearing here, it could end up quickly getting very cluttered. Press up on the controller and you'll get to the rest of the PS4's menu options, which is a lot more reminiscent of XMediaBar, if only due to its complicated hierarchy of menus, sub-menus and other options, some of which are pretty vague and may or may not appear again in other menus. 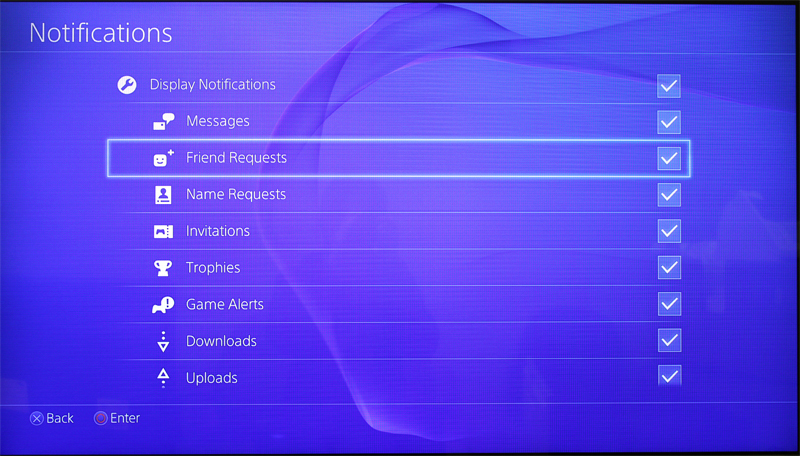 For example, the Friends Menu lists two separate options for Friend Request and Name Requests, both of which also appear again in the Notifications Menu. You' can probably eventually find what you want in this maze of, admittedly, quite comprehensive menus, but it might take you a while to get to there.